New York is the place to visit in autumn, as I wrote last year. Spring is the time to visit LA. When I was reflecting on Los Angeles, and trying to summarize what it is about LA that is so attractive to people — apart from endless sunshine, that is, natch — the word seductive came to mind. A few years ago, I read this book about France and the French character. It is worth reading just to see how differently the French look at everyday life, relationships, food, tourists, Americans etc. Not to say that they are right or wrong, necessarily but truly it is a culture apart. France is seductive. Los Angeles is like that. Someone should write a book about it (note to self). Unlike NYC that instantly triggers love or hate, Los Angeles sidles up to you and lures you in with that sultry come hither environment that allows everyone to be utterly, nakedly themselves. And that is no mere metaphor. You have permission to be as uninhibited and as outrageously ‘you’, as you want here — and that is what I love most about this city, its welcoming diversity. 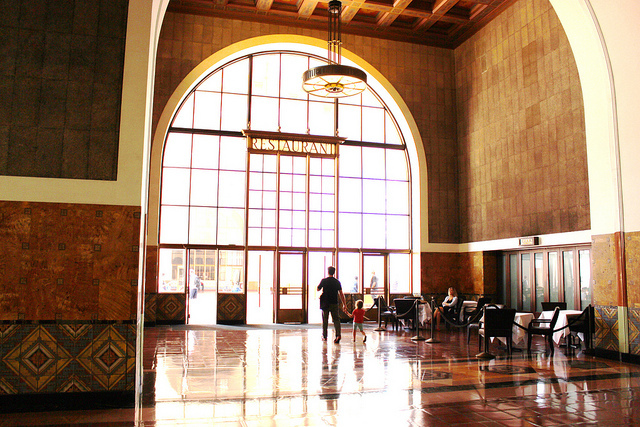 There are three urban hubs that you need to hit if you want to understand California. In some ways it should be two or three states. San Francisco and San Diego are distinctive megalopolises with their own sphere of influence and mindsets. You won’t get to know or understand all three, by just visiting one of them. People everywhere are drawn to Los Angeles, but not for the beaches, because, honestly, there are others far more beautiful. If you are looking for the ideal beach environment, go to Cape Cod, Monterey, the Northeastern coast of Brazil or the Caribbean. Don’t come to LA for that. 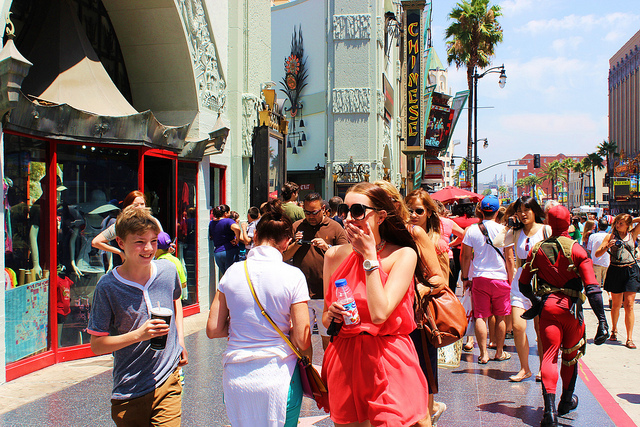 People love Los Angeles because of its gigantic entertainment industry and the allure of being close to the stars. If you are a wannabe, the magnetism of LA is powerful and rightly so. But, I think the true main attraction of LA is that, you can park philosophies and ideologies at the threshold when you land at LAX and step into a completely welcoming, accepting culture that signals immediately: anything goes. Relax, have a great time. Not a Hawaii-lie-around-the-pool great time. A get-out-there-and-have-a-ball. Mingle, go to barbecues, hit the club scene, do a night on the town. Be free to enjoy yourself, however you like. Angelenos are incredibly outgoing and friendly, right away. They don’t need time to warm up to you. For a transplanted NYer it was palpable immediately. Smiles and welcomes, sincere ones, not papier-mâché politeness, characterizes the citizenry. Last week, my cousin was in Los Angeles on an assignment. She always stays at the London West Hollywood. Claire and I chatted in her sleek ultra-modern suite and then went up to the roof patio for dinner. 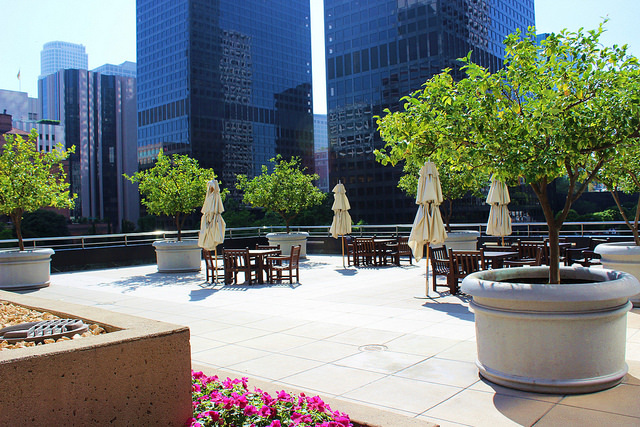 It was a beautiful clear day looking out over LA on the top floor of the hotel in late afternoon. As we were sitting there gabbing, afloat over the city, evening fell, draping everything with its violet shawl. All around us was a crystal view of the sprawl that is the LA metropolis, its lights flickering on and the stars popping out overhead. Some miles to the east, Downtown appeared as a cluster of glittering stacks that huddled together like intimate giants sharing a secret. Farther along Wilshire, Century City was gazing across the concourse toward Westwood. It was pure magic. Come to Los Angeles between April and July. Summers here are too brutal now, the autumn is unremarkable and the winters, well, they can be misty and dull. Here is where I would start. 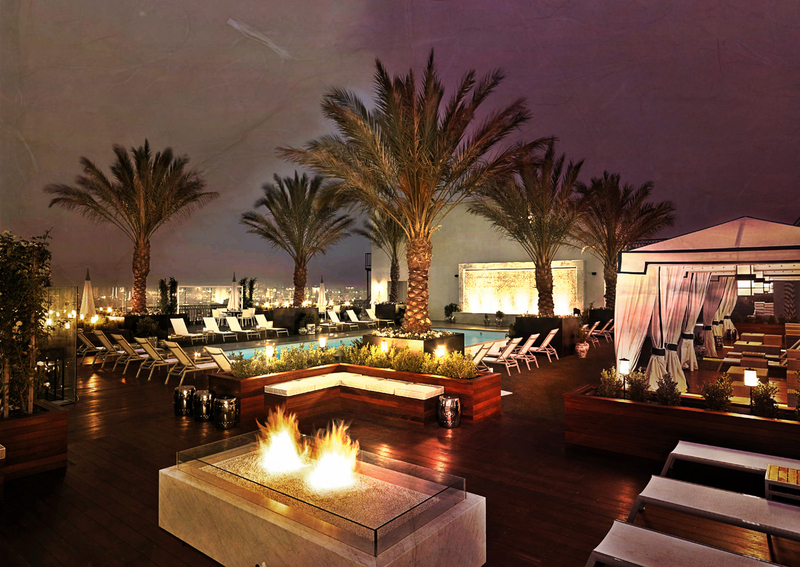 Stay at one of the newly restored more affordable hotels Downtown or on the Sunset Strip in West Hollywood. There is a lot to do at night on this stretch of the Strip. If you like off-off-off Broadway entertainment, lol, the Strip is the place to go. Start at the Whiskey. You can walk to it from the London WH, and frankly, that is where I would stay. Rooms average about US$350, reasonable by LA standards. The other advantage you would have is being able to get to Beverly Hills, Century City, Westwood, the Melrose restaurant row very easily, even using LA’s notoriously limited public transportation. I have ridden the Metro bus and train system locally and they are clean, air conditioned, safe and comfortable. Not like London, Paris or NY, not efficient, fast and ubitquitous, but good. 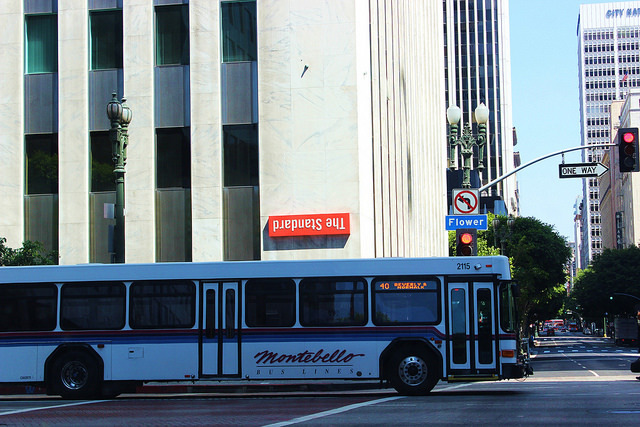 You can even get to Downtown and Pasadena using public transportation, from a central hub of West Hollywood. Hollywood itself is also east on Sunset, so you couldn’t ask for a better place as home base. Not to oversell this location, you can also take Sunset to Santa Monica, Brentwood and Venice Beach. Although, as I will explain in a minute, I would suggest the South Bay or Beach Cities instead. They are far more exemplary of what Angelenos consider beach living, while Santa Monica and Venice are for tourists. Downtown, as I have said previously somewhere on this blog, is really hopping now. If there is a happening place in LA, DT is it. It is packed with restaurants, clubs, bars, loft-hotels and entertainment. The Disney Concert Hall, the Chandler Pavillion complex and other similar venues for traditional theater- and concert-going are at the north end. There are museums and cathedrals as well as the very trendy and cool Grand Central Market that is worth an afternoon of eating and coffee in itself. There is also a fab Art Walk that takes you around to galleries and the hidden creative underground/grunge that makes LA appealing for millennials right now, from burning men to urban hipsters. The Natural History Museum and the Staples Center are at the bottom of DT LA and both are worth the trip. 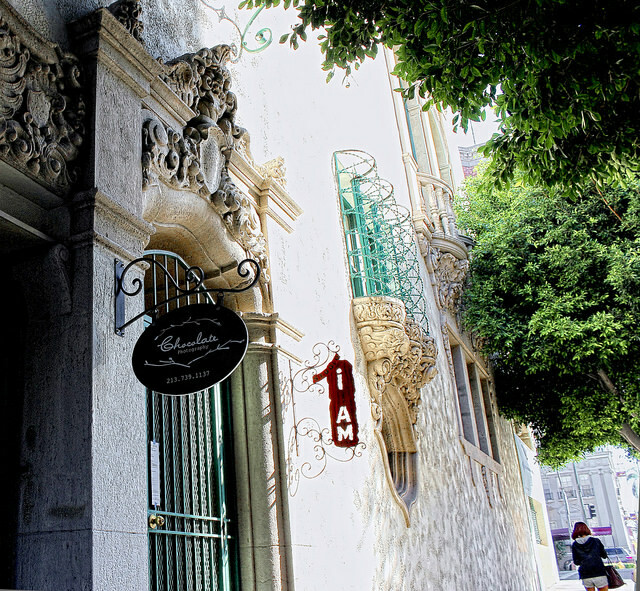 Just walk up and down the north/south artery of Figueroa and you will see a history of architecture from the 18th through the 21st centuries, rising on either side of you. While you are doing that, make sure to stop at Fig&7th to have a snack or a drink and get in a bit of shopping. Just a block or two north and you can eat at the famous, original Pantry, continuously open since 1924. Or take Wilshire from DT, via the Metros, all the way West to the beach, and watch the progress of the city the automobile built, materialize as you go. And while you are there, make sure you have afternoon English tea at the Biltmore Hotel. It is an LA institution and I guarantee you will gape at the world’s glitterati parading around you as they stream into DT in droves, snapping up refurbished buildings to re-rent out or install start-ups. It is very reasonably priced at about $200 per night for old world luxury. When we are DT, we eat at various places. You can always grab a bite at the Grand Central Market, with all its many food stalls. If you are deep in the dough, try the Water Grill for perfect food in a flawless upscale environment. If, like us, you are on a budget, head to the Fisherman’s Outlet. An LA legend is Philippe’s for sandwiches. West Hollywood/Hollywood/Melrose I probably don’t need to tell you too much about this part of LA, West of Downtown. This is the hub of the night scene. There is shopping, of course, with a robust array of boutiques and galleries. But clubs and restaurants are the main draw. The Viper Room, Whiskey a Go Go, the Roxy Theatre and all sorts of sky bars are strung along Sunset. Just drop your stuff at the hotel and head out in either direction on the Boulevard and you will stumble on them. Whenever I am in this area and I have time, I make my way over to Little Ethiopia for lunch. Not only is it affordable, it is exotic and exquisite food made and served by natives. Try Messob, my fave. Pasadena may be a bit more staid but for my money, skip the Getty and the LACMA and head straight to the Norton Simon Museum, Gamble House, Asia Pacific Museum and Huntington Library and gardens that stretch from one end of Old Pasadena to the other. 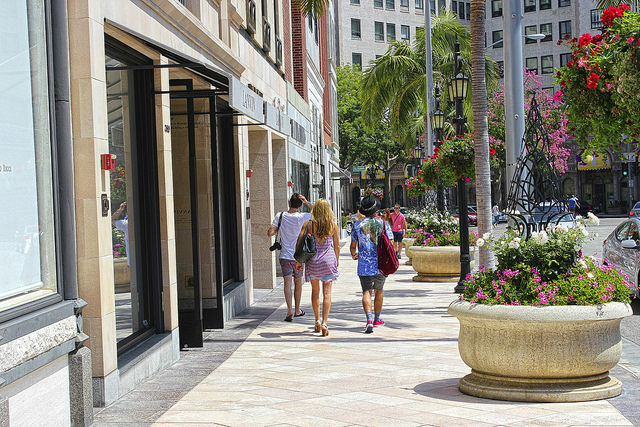 There is more shopping and eating in Pasadena, with every kind of food from all over the world, than in any place outside of DT LA. It is a beautiful, pristine, elegant old city that has been updated and now boasts an influx of condo dwellers at an unprecedented rate. Every possible kind of entertainment is available and you can walk to it, from the Metro which has several stations in Old Town. 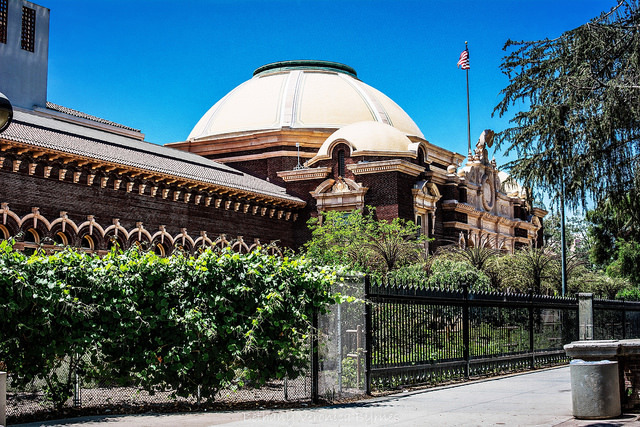 Definitely check out The Pasadena Playhouse for live theater, as well as various cinema complexes up and down the main east-west thoroughfare — especially at The Paseo –, Colorado Boulevard. You can attend free concerts all summer at the Levitt Pavilion or the symphony at the stunning, world class Ambassador Auditorium. Make sure you stop by the largest independent bookstore in Southern California, Vromans and have a homemade sundae at the 100 year old Fairoaks Pharmacy in South Pasadena. Eat dinner at the incomparable El Cholo, for Mexican food, SoCal style. Southbay/The Beach Cities This may be a bit out of the way, unless you have a car. If so, head west on Sunset to the 405/San Diego Freeway and points south. Get off at Rosecrans and go west to Pacific Coast Highway, turning south again. 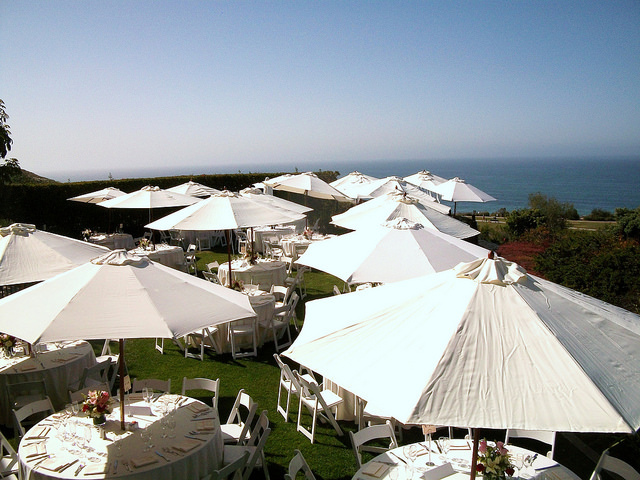 You will be in Manhattan Beach, the largest of the three. Turn right on Manhattan Beach Boulevard and take it down to the Ocean. There you will find yourself amid the real coupon-clipping laid back millionaires that teem all over this part of LA. These are the Angelenos who never work. Everywhere around you will be bronzed blonds zipping along in Italian convertibles. There are literally dozens of places to eat, in every price range, as well as boutiques and bars. But, of course, as you rise over the crest of the hill on MB Blvd., you will see the Pacific gleaming and winking ahead of you. Bring a towel and beach wear. This is the place to watch the roller-bladers gliding along The Strand in front of the multi-million dollar manses that perch at the sand’s edge. 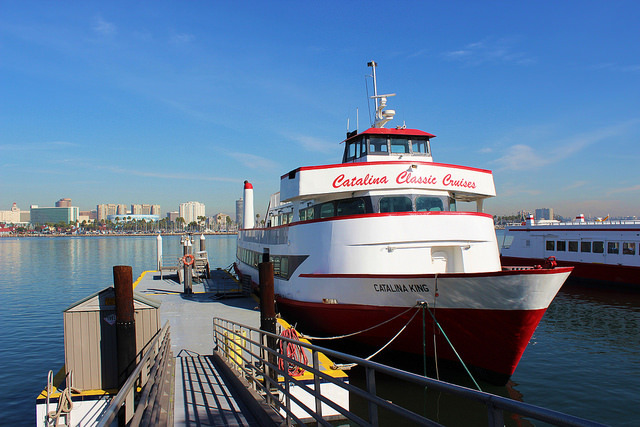 Take your margarita down there and imagine what life would be like if you had nothing to do every day but gaze out at the ocean liners and Catalina, while your help kept you supplied with refreshments. MBch is the best kept secret in the Southland. Try the ancient Kettle for lunch and Love&Salt for dinner. Farther down PCH pointing south is Hermosa Beach. Like Manhattan, it is for play not work, but trendier, younger, hipper and more bohemian. Finally, a bit farther down is Redondo Beach. It has the Pier and attracts an older, quieter crowd. You can’t go wrong with any of the three. Hermosa has a comedy club that is actually fabulous. You never know who is going to do a gig there, often well known comics, so check before you go and reserve a seat. Beverly Hills/ Bel Air/ Westwood I typically avoid the first two. By the way, Century City is in this area but it is largely businesses and residential. 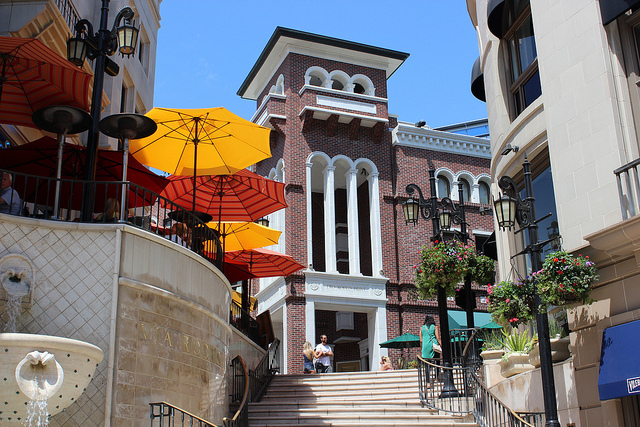 There is not much there to recommend you spend time in CC when you could be Downtown, in Manhattan Beach, or Pasadena. Beverly Hills needs little introduction. If mansion-crawling is your thing, just go west on Sunset from West Hollywood, and you will be in Bel Air in ten minutes. It is self-explanatory once you see the sign (you can’t miss it). 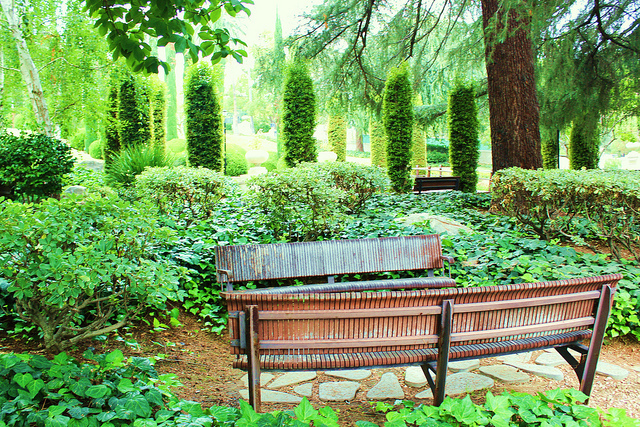 If you find yourself in Bel Air, visit the North side of the UCLA campus, the old part of this 419 acre magnificat. You shouldn’t waste time looking at houses in BH, the main attraction of which is that Sultanic mecca known as Rodeo Drive. By the way, if you want to stay in this part of LA and actually go to the LACMA anyway, you can stay at the iconic Beverly Wilshire (Pretty Woman). But, it’s pricey. Don’t bother eating in BH either. Overpriced, overhyped, mediocre food. No celebs will be eating there, just tourists. Eat instead in Westwood, the home village of UCLA, SoCal’s other premiere University (beside CalTech). 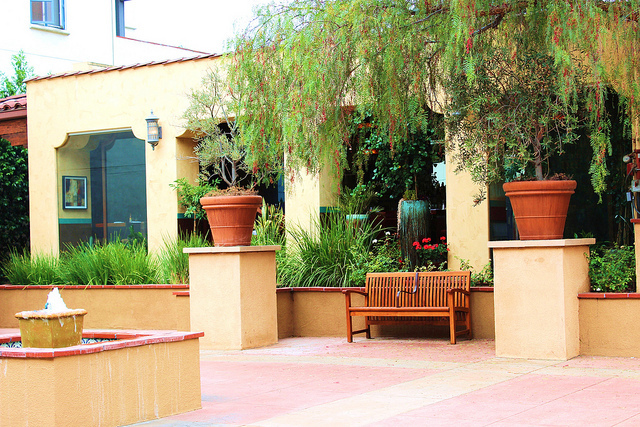 There are so many fantastic places to eat in Westwood, I would need another post for them. Our favorite is Native Foods. Ok, ok, I hear you saying, but what if I absolutely must tell people I ate in Beverly Hills and money is no object? Then absolutely, you have to go to Crustacean, if for nothing else, the experience of the place. You won’t be sorry — broke, but happy. If you just need to use a restroom and grab a snack so you won’t faint while shopping, go to Neiman Marcus, located on Wilshire. Then head over to Westwood, gape at billionaire’s row on Wilshire as you approach the Westwood Village, and rest on the UCLA south campus after all this activity. By the way, there are three more items you might want to consider: LAX, Burbank Airport and Union Station. If you want to start in the South Bay and see these three beautiful and entertaining beach cities, by all means fly into LAX. They are just 15 minutes south on the 405 Freeway. If you want to start in Pasadena or West Hollywood? Use the very nice, easy, safe Burbank Airport, you will be just minutes away from both. If you plan to start Downtown, consider taking Amtrak to Union Station and see a classic with one of the best restaurants anywhere, Traxx. That’s it. 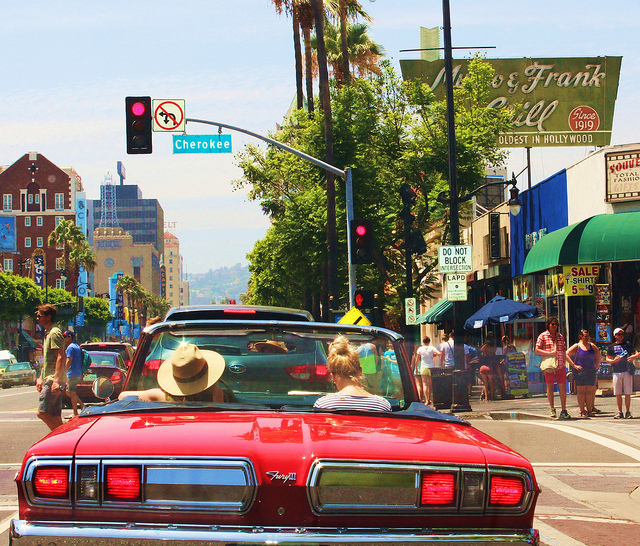 If you just hit those five key spots, you will be immersed in LA and totally ‘get it’ ever after. And here I was, just thinking I need a vacation… perhaps I’ll have to look into popping out for a visit. You certainly make it sound so welcoming and diverse! The travel bureau should put you on the payroll! LOL! I would trade you LA for Toronto any day, Cole, but that is because of my snow and cold fetish. Still, I had sooo much resistance to living here that I am amazed at my own appreciation for this place. Especially when visitors come. My cousin Claire lives in London and has all kinds of opportunities to travel all over Europe, but she always gets excited about coming to Los Angeles, of all places. I am glad to hear things improving there weather-wise, as I know you are a huge Toronto champion. Have a terrific weekend, Cole and thanks as always for reading and commenting. Some great tips here, thank you! I visited California as part of a trip from the East to the West coast of the US a few years ago, and I’m finally coming back to LA this autumn, I loved it so much when I first visited, I have been wanting to visit again for a long time. What is the weather like in early November? In the past, November could be rainy and cold but for the last few years it has been warm, sunny and dry — not hot. It should be a nice time to visit, with some trees turning (not a lot). You could just bring layered clothes. Light wools and silks would do it. Bring a small, folding umbrella and some water-proof shoes, just in case. Technically, it can ran from November through April, but if you are hearing what’s happening, we have very little rain now. However, when it rains, it pools on the sidewalks and dry ground, so some rubber-sole platform shoes would help keep your feet dry. The funny thing here is no one wears rain gear, even when it’s pouring. You might see a discreet, small umbrella, but Angelenos shun real brollies, macintoshes, that sort of thing. Being from NY, I dressed like a tourist when I hit my first rain storm. Now I wear rubber shoes and tuck a tiny umbrella in my bag and just ride it out, LOL!! It is interesting that both of you say that. I would never have thought to do it in NY, even though I grew up and went to school there. But somehow, I have forced myself to go all over this enormous county and city and find things to appreciate and that has made me wonder if I should take people on photo tours of the lesser known areas of this hub. Something hokey like ‘Buzzing around Burbia with Beth Byrnes’ ?? “BB to B Tours”? Thank you Vera for your always generous comments. There is definitely an ‘allure’ to LA, Beth! 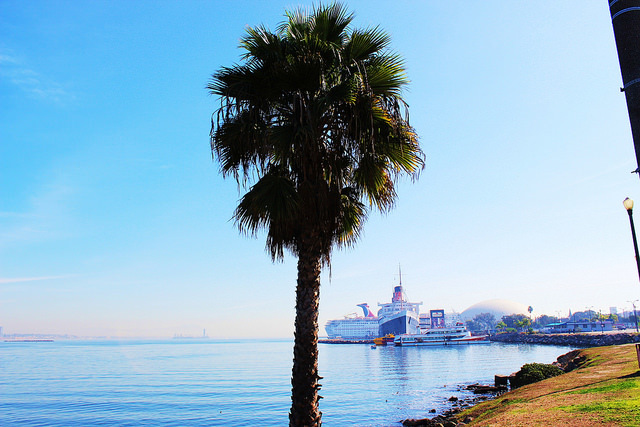 I love the palm trees, the white, clean beaches, the beauty in the sky meeting the ocean and the acceptance of all kinds of people strolling around town. I love the idea of colorful umbrellas, but the pale tan ones blend into the beach scene. 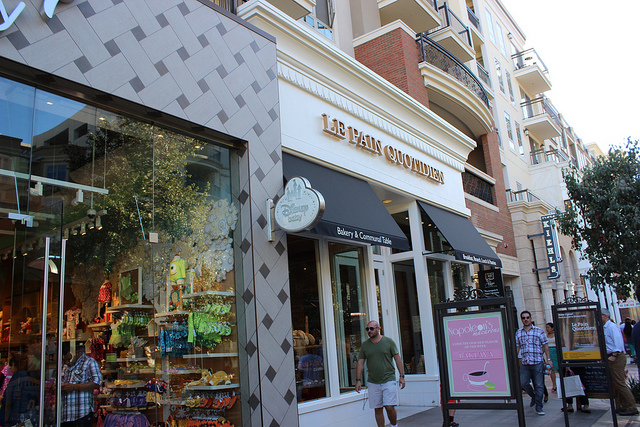 The chocolatier shoppe and clothing places would be fun to window shop and possibly indulge with a purchase to remember the visit. Beth, you make this all sound so enticing! You know what did it Robin? My resistance to being here, for two decades. I did not feel at home in LA when I arrived. And, my new husband’s family made me feel like a frumpy East coast professor. It has taken me all this time to go out and find the LA that people love and sell it to myself. That is where this post came from! You are very kind. Thank you so much for putting up with this long-winded post!! 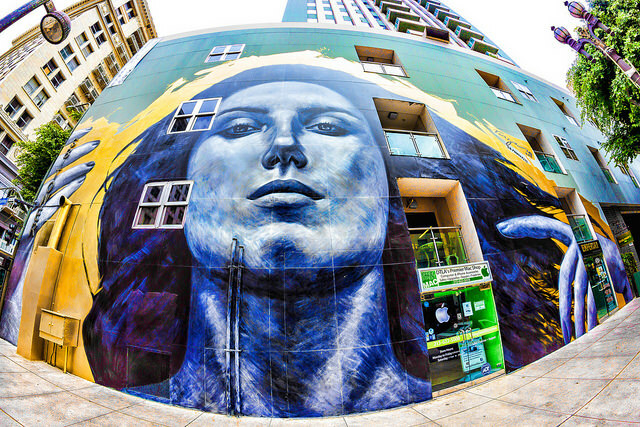 I don’t know why but I never mentioned the mural st Fig and 7th, the green, lush gardens (UCLA campus?) 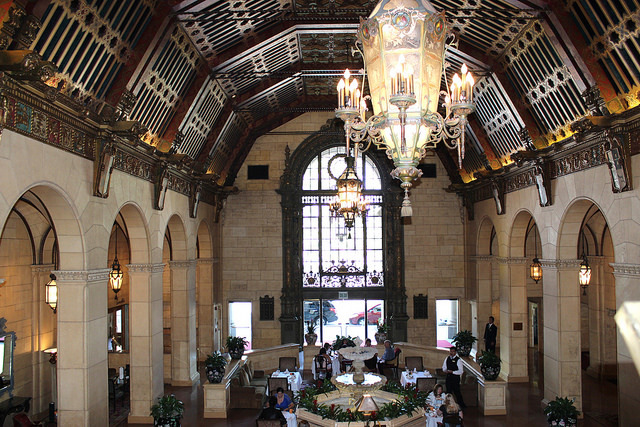 and suggestion to have tea at the beautiful Biltmore Hotel were my favorite photos, Beth. Thank you Robin, that mural is probably my favorite picture of all time, too :-D! Hope you are having fun with your Mom. Jen, you are generous! I was motivated to do this one because I was complaining about the heat here so much and wanted people to know that LA is more than the current drought. I am convinced I would love Australia. My mother has family there and she and my dad took a trip about fifteen years ago and stayed for a month. They also visited some relatives in New Zealand. My mother just fell in love with Australia and said it was one of the most beautiful places she had ever seen. I think she loved the food and the fashion especially. If only I could afford it, believe me, I would go. We would want to take a month off and we never seem to have that kind of time but other than Scotland and Scandinavia, Australia is the only other place I am longing to visit. Cairns is beautiful and warm! Wow interesting history. My mothers English, but sadly she has no family left now. I have been lucky enough to go to Europe twice and I love the UK and Scotland and in particular Ireland. The other half of my family are from Ireland — County Meath, the town of Trimm, my grandfather always used to say. I was there a few times with my parents. Ireland is beautiful and I always wondered if I should move there, but now it is far out of my range. Cairns is warm too, huh? That makes sense. I am afraid of losing touch with the far flung cousins now. I have a few in the US and England but the rest are disappearing and we don’t hear from their children, even though my mother writes and writes begging for news. The UK is one big garden as far as I am concerned. I love their climate. Who knew !! 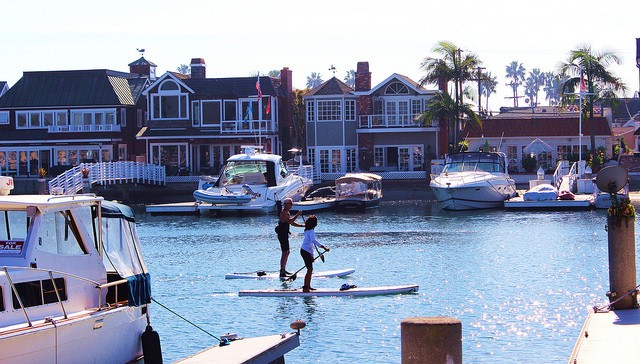 I’ve spent considerable time in the Newport Beach (and south) area. Wonderful tour. Thanks . Oh, that is a beautiful place. I went to the festival or lights or something like that in Newport Beach one — what, Christmas? It was gorgeous. Bob, you and I have so much in common! Wow! Being an Angeleno (as we are called), you have hit the majors of the majors. If I didn’t have school today I’d be going on a drive across town… Thanks. When the out-of-towners arrive it is always a challenge to jostle the marbles in the head and come up with the definitive L.A. experience. There is so much to do and see that paralysis sets in and you end up looking silly. It’s not like Rome or Paris or even London. L.A. is an experience. It is about experiencing the traffic on the 405 or the 10. It is finding that greasy dive in the shadows of the Griffith that serves the best Mexican food. It’s feeling that salty ocean breeze as you drive up PCH on your way to Malibu. So many things. So little time. Even for those of us that call this home, we could always use an extra day a week. I’d love to read your take on Culver City. Goodness, I am so pleased to learn that you are from California, much less Los Angeles. Yay! A native. You made me think about this. I wrote this for visitors and the people who think LA is ‘Detroit with palm trees’ (Don Draper! — LOL). But, another post could be about the places in LA that I have stumbled on and love, for Angelenos. Why not? I have been here a long time now and overcome my cultural resistance. I am loving LA more and more, despite the increasing heat and the drought, which has hit my part of the County pretty severely. Culver City has, ta-dah: Surfas! One of my fave places. Also, isn’t there an Eritrean restaurant there? And La Brea Bakery or the like? CC is a treasure. There are so many pockets in Los Angeles. Little Ethiopia gives way to Beverly Hills which gives way to WeHo. We SHOULD write a book. A little history with a little reality sprinkled with some fiction. I’ve lived here most of my life. With a few random exceptions, I’ve been here forever. I’ve loved it and I’ve hated it. There are things that are so uniquely Los Angeles, to me, like vast parking lots of the multi-level variety that are hidden inside the structure of malls and the vendors selling oranges and flowers and teddy bears in balloons… Venice beach with its Patchouli, Pizzas, Pumped up physiques, Palm trees and parking lots. Well, since it is a megalopolis, it is one big continuous “city”, so one has to figure out where the borders of each niche are, to narrow a visit down, especially for out of towners. I grew up in a similar place but luckily NYC has waterways and bridges that divide the five boroughs clearly. Not so LA. What makes it more confusing is the fact that the name “Los Angeles” has so many different meanings. The technical city of LA is dotted all over the county, interpolated with other incorporated municipalities. It takes people a long time to figure out what is mean by LA. To me, the metropolitan area covered under that name borders the other counties to the north, east and south. That is a huge territory to understand. Another great area is the five-college towns, as is Long Beach/San Pedro — which are coming back in a big way. Much more for me to post about, soon! I enjoyed this article on ooh la LA! Jane, thank you! This comment was held in my pending folder for some reason and so I just saw it this morning. I will definitely check out the Moment, what a great tip! I really do think that Sunset is the perfect jumping off point. It sounds like it would be a cliche to anchor oneself in West Hollywood, but I see it as the hub of a star reaching out in all directions. I get to know other parts of the country through visiting relatives, too. How nice for you that your children live in LA. I have to check your blog to see where you are too. I know someone there who said it snowed this week! At least you are getting moisture that we lack here right now. It is a beautiful setting too! Thank you for those generous words, Anne Marie. It took me a long time to warm up to Los Angeles and something finally clicked this week that made me realise, I know this place and when I analyse it objectively, it is a fun place to visit. After running all over the world and singing the praises of other places, I thought I owed it to Los Angeles to put its best feet forward. WOW — what an blog post! In pinning this article to my Blogs and Bloggers board, I struggled to decide which picture to pin – they are all so lovely. I almost feel like I took a little trip to LA while I was reading your wonderful prose. Thanks so much for taking the time to take us on a trip of your city. I miss NYC like a lover, so I’d probably only be happy visiting LA – but if I do, we must “do lunch.” I’ll have my people call your people when the time comes – lol. Can we bring our posses? (That word looks so peculiar…). LOL! Sure – just give me some time to round one up! No I’ve never been, I would love to. Is there a thriving classical music/opera scene in LA? Oh, yes!! 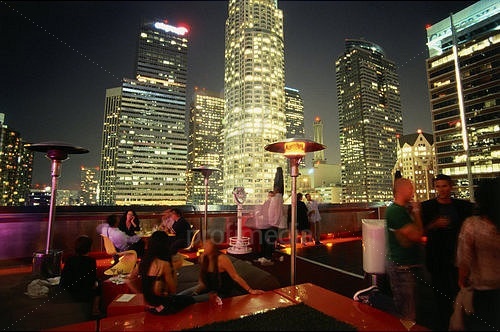 There are several venues in which they perform in Downtown Los Angeles. There is the Los Angeles Opera, of course and visiting operas and companies as well. Los Angeles is the second largest city in the USA, so Opera and theater are very important, especially with the film industry having been founded here. Lots of live performances. You would have a ball here! I like the rule that everything’s 45 minutes away. It fits with the one I had before I moved to Britain: Whatever time you leave Minneapolis, it will be rush hour when you get to Chicago. Whoa…that’s a marathon read. You’ve a nice way with words and metaphors, and realities. I lived in San Diego for 10 years, and you are right…different scenes, different cultures, different takes on how things are in the major cities. I am sorry — I can be wordy, can’t I. I felt Los Angeles is such a big destination, I needed to give people a real sample of the experience, and still left out dozens of great spots! You were kind to wade through this. You used the word I would use for this: cultures. Completely different, all three main hubs here in California and of course, as different from every other place on earth as New York is to Singapore. I would love to see what you would write about San Diego as I truly love your way with words! Oh, now you have me thinking about San Diego, but I was there long ago. Everything’s changed. But maybe that’s the way the story goes…? Yes! There must be a way to tell it as it was and is. You’re a painter of words, you could do it! It would be thrilling. Thanks for taking me all over LA! Free of Cost!! Ooh la LA !!! The Literature you have written and the Photos made me feel like that. What else do I want. Oh dear. I just visited less than a month ago and wish I had read this first! Uh oh. Where did you go in LA? This was such a gorgeous post both in images and imagery. I’d love to see LA and San Francisco. I hope you get a chance to visit both. I have lived in both of them and can say, as a world traveler, they are worth the visit. Thank you! Gorgeous! I haven’t been to LA in 16 years, and didn’t think I needed to again. But clearly I didn’t see it with the right tour guide. LOL! I can relate to that. It has taken me 20 years to come up with these places and conclusions. Now I feel totally confident that going to just these five spots will give you the best idea of Los Angeles and Southern Californians. I finally like this part of the world!! LOL, Stephen. I will have to check out those Jack Benny reruns — he was a genius. And, well, you may be right about that time adjustment. It SHould be 45 minutes, since everything seems to be 45 miles from everything else, but these days … well. Beth…you have a way of making things and places sound so…doable and interesting, even freaky LA! The thing I don’t like the most about LA (and all big cities) is that everything is always 45 minutes away from everything else. I’m a small-town kind of guy. Maybe that’s why I like Amsterdam so much. Yeah. I hate the traffic too. I like walking cities, like New York where I am from. I like hopping on a train and being somewhere quickly. I really loathe driving even though I do a lot of it. As for Amsterdam, beautiful but sad, to me. I love the food. I think the Nederlanders have the best dairy and meat (although it has been decades since I have tasted meat there) and beautiful countryside. But, Amsterdam reminds me of Anne Frank and WWII and the brave way the people of the Netherlands tried to resist. I shouldn’t let that dominate my thoughts of this beautiful place though. Thanks for reminding me. And of course, where else to get great Indonesian food in Europe, right? I want to go to LA and find all the food trucks and eat till I cant eat anymore.. lol I just saw so many episodes of street foods of USA and I want to eat them all.. hahaha LA look awesome.. Wonder when I ll make there. You could skip the food trucks and just eat at the cafes, restaurants and coffee shops here and be very happy. Thank you!